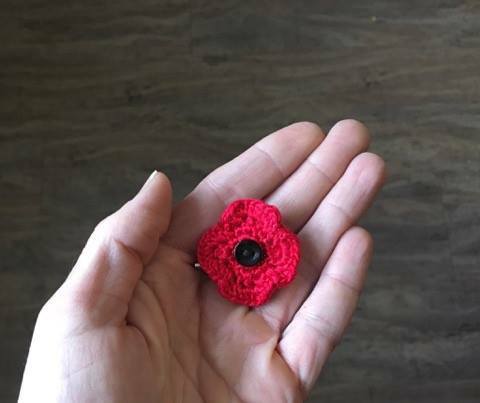 Weave in the ends on your poppy. 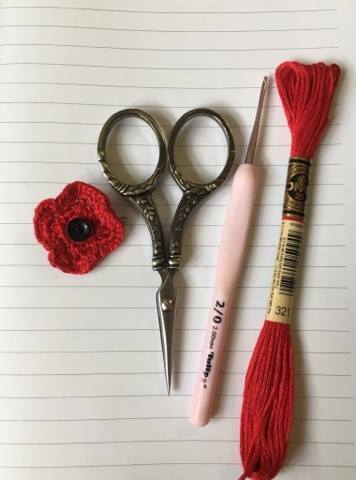 Use black thread and sew on the button in the middle of your poppy. Then sew the safety pin onto the back of your poppy.